Home » cultural rot , elton john , jane austen , movies , pride and predator , what the hell were they thinking » PRIDE AND PREDATOR?! Are you kidding me?!? 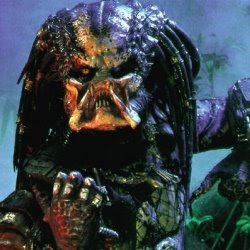 PRIDE AND PREDATOR?! Are you kidding me?!? Elton John's Rocket Pictures has begun production on Pride and Predator: a cinematic adaptation of a Jane Austen novel that deviates wildly "from the traditional period costume drama when an alien crash lands and begins to butcher the mannered protags, who suddenly have more than marriage and inheritance to worry about." This is, apparently, not a joke. One of the producers has also said that "It felt like a fresh and funny way to blow apart the done-to-death Jane Austen genre by literally dropping this alien into the middle of a costume drama, where he stalks and slashes to horrific effect." Jane Austen books must be a hot sci-fi genre these days. Cinema Blend is also reporting that Pride and Prejudice and Zombies is in the works, with involvement from Natalie Portman. It can't fail! At last a chick flick that the guys will demand to see!!! That is a very sick idea for a movie and I will want to see it, so I don't know which is worse. I would love to see another straightforward Predator movie. BTW, Predator 2 was the very first movie that I saw in a theater, that I drove myself to (saw it three days after getting my license :-) I don't know if that's colored my perception of it but I've always thought that Predator 2 was a MUCH better movie than the reputation many have given it. Jeez, does Predator have to cross over with EVERYTHING?